"Everyone I talked to was rude"
"3 flights were over 1 hour late"
✅ Trip Verified | Newark to Las Vegas. I am a 1K member due to my living proximity to EWR. My last 3 flights were over 1 hour late they have discontinued premier access so my wait time through security has been over 45 minutes and still every flight is full. I have finally signed up for Delta status match as this flight has really pushed me over the edge. Flight 2 hour delay, sat in front of door waiting to get on for 15 minutes because cleaning crew missed items. Food is disgusting and cabin staff attitude is worse than passengers that have suffered another disappointment. I travel every week or minimum 2 x per month i pay for first class as there upgrades as useless and never able to redeem and still suffer. I know my words wont change anyone's mind before buying a ticket on this airline the CEO should be embarrassed to represent such a horrible company. "doubt I will travel them again"
✅ Trip Verified | Los Angeles to Newark. We ended up on this flight as our original flight which was to Montreal via air Canada was cancelled at the very last minute without warning and we had to rebook. We arrived early boarded on time. It wasn’t until we got on the tarmac and the plane was still sitting. Apparently the captain had to some systems checks and something didn’t pass. Once passed about an hr had lapsed fuel has been burned so we had to return to the gate to refuel. It took a total of 2 hrs for the process and we had a connecting flight to Italy and only had a two hour layover. All the while the flight attendants could not reassure that our connecting flight would be held for us to catch. There were issues with this situation from the get go. The thought of a cancelled flight was something I understand is normal but at the 11th hr was not appropriate notification to customers. For customer safety, one would think that the pilot both the ones on the previous flight and current flight should have some system of checks for the plane well before we get on the plane for the aforementioned safety and efficiency. All this added stress to customers could have been avoided if there was a better system of checks and communications going out to customers. 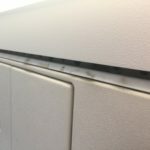 After all this, this was the 2nd significant incident I had with this airline and doubt I will ever travel with them again in my lifetime if I had a choice. "Truly a poor airline service"
✅ Trip Verified | El Paso to Houston. Truly a poor airline service all around. The plane from the small airport to Houston smelled filthy and had tiny seats, even for a petite female. I opted for the cheapest option for my flight - basic economy, which was a huge mistake. They did not authorize changes, cancellations, or adjustments at any time immediately after purchase. After waiting on the phone for 20 minutes, I was greeted by a customer service representative who basically just told me there’s nothing they could do and maybe try contacting my ticket issuer, Capitol One. I had applied some reward points to deduct about $93 from my over $400 round trip ticket from Killeen TX to El Paso TX. 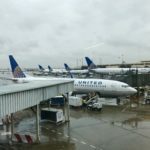 I contacted them only to be told that United is the only company authorized to make changes to my flight itinerary, which I can only imagine the original United rep has already known (or should have at least). Essentially she had just pointed fingers elsewhere to avoid problem solving. We are also not even allowed a carry on item at this rate, which seems completely unreasonable. The price of their economy tickets are not comparable to other airlines such as Frontier or Southwest, which makes it more confusing as to why they are so strict (the fact that I regularly use cheap airlines should indicate that my standards are not high to begin with, I just like affordable travel). 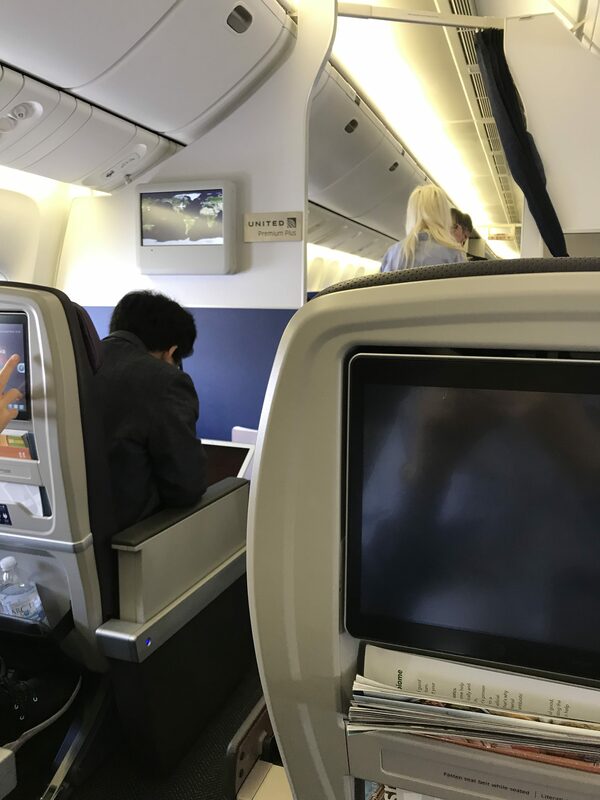 On the same token, even if I had paid a higher fare to be able to carry on items and adjust my flight, I still would be sitting in the same dingy aircraft crammed next to the person in the seat next to me. I would almost be insulted that I bothered to pay the $50-100 more for the same poorly maintained vehicle. The aisles in my first flight were so narrow that I was shoulder checked every time someone walked by, while still shoulder to shoulder with the gentleman next to me. The seat did not recline either, so I sat there, sitting up at 90 degrees, being bumped for an hour from both sides. Furthermore, their WiFi is both overpriced and limiting. To be fair, I should have read more carefully where it states “steaming not supported”. I could not watch Hulu or Netflix with the $9.99 for 1 hour of WiFi that I paid for. Instead I’m using it to write this review, while on my return flight that was delayed for 2 hours this morning. Instead of watching the new Game of Thrones episode on the WiFi that could have paid for a meal, I will be sitting here with my elbows and knees completely tucked in uncomfortably, again, as to not be sitting on top of the man next to me. Overall, this airline is grossly overpriced for the lack of services it affords it’s customers. Will not ever be flying United again unless the military books it for me. Not Verified | Sacramento to La Guardia via Chicago. I travel quite a bit and this was the single worst experience I've ever had. I was with a group of people going to New York City, and we planned to arrive there in the morning, leaving plenty of time to rest, get lunch and dinner, and then see Mean Girls on Broadway. We got to the airport at about 9pm, made it to the gate to see that our flight had been delayed until 8am the next day. It was because one person called in sick. The airline did not get us a hotel for the night, so we slept at the airport on the incredibly uncomfortable couches because the tile floor, which would have been more comfortable, was too cold and we weren't even allowed through security to the gate so we were in front of the doors that were opening and closing, with loud announcements coming in every minute or so. United airlines gave each of us three $10 meal vouchers in compensation that were ultimately useless as we did not have a long enough layover in Chicago to buy anything. We missed Mean Girls, and received no refund. Thanks, United! Not Verified | Newark to Buffalo with United Airlines. Very rude staff at the boarding gate. This is not the first time. Very disappointed. I would never recommend any of my friends and family to this airlines. No respect for customers. They have to teach their staff to respect customers first. ✅ Trip Verified | Miami to Newark. Travel with United Airlines is always getting delayed. This is just the 3rd instance in a row. United doesn’t care about customer service or satisfaction. United just want to make money and cut down the cost at the expense of customer satisfaction and happiness. United executives just care about how much millions they make at the expense of the customers and the employees. I wish a better airlines available like Singapore or other airlines who cares about customers. Not Verified | Rochester to Newark. 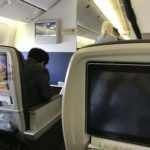 I asked to have a seat reassignment the attendant told me they won't even look at it then the flight is late because the airport did not have a power pack ready to power up the plane.. Horrible customer service and performance by United to meet their obligation to their customers. Not Verified | I was supposed to leave from Houston to Rio de Janeiro on April 20th, 10 pm. 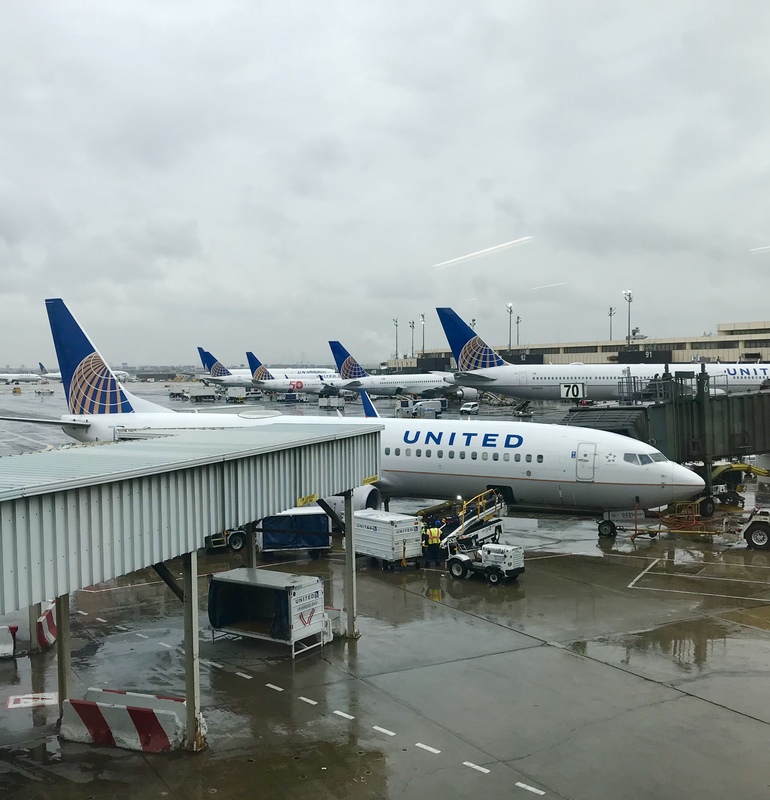 It is April 21st, 2:30 pm and I am still at Houston airport with all the other passengers trying to get an extra flight to replace the one they just cancelled: "We're very sorry to let you know that your flight (UA 129) on 21 Apr. has been canceled because of a lengthy maintenance delay and regulatory crew scheduling restrictions. Check out your options on the United app or united.com under Saved Reservations. You may also contact us at 1-800-UNITED-1." Well, they made a mistake and the solution is just to cancel a 10hr flight - people made plans for that. Besides this problem, crew members have been rude to people that were just trying to get information. I am a loyal customer but now I don't even know what to be loyal for... if a service company charges more expensive prices and you still buy it, is because you trust on receiving a better service... not what I have seen today. Very frustrated and disappointed. "Never seen an airline this bad"
✅ Trip Verified | Orlando to San Francisco. 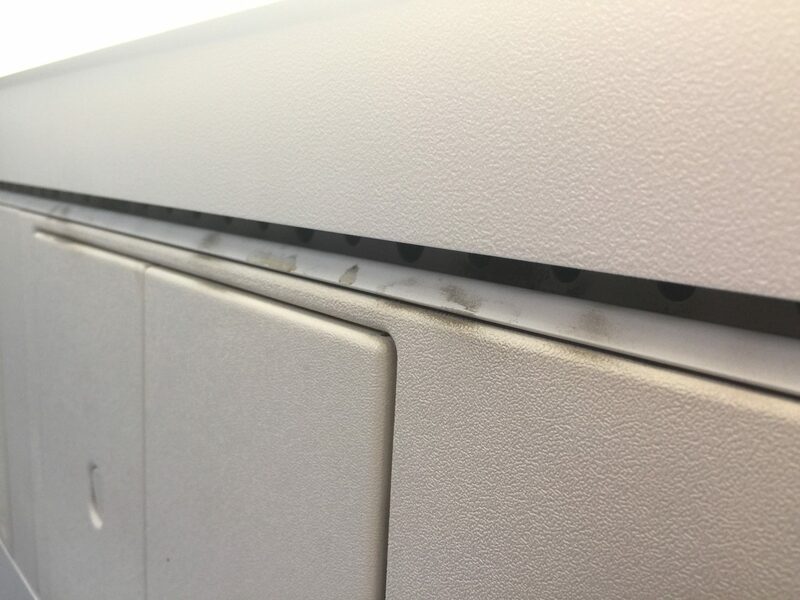 Service was very bad and aircrafts was very dirty. Due to some delays on another airline I was rebooked to return back to Tampa same day. I did not make that flight because of the incompetence of the ground staff in San Francisco. Very rude and did not really care to listen. Same day inbound flight horrible aircraft outbound could not even make it because of United staff. 25 years of flying over 200.000 miles per year. Never seen an airline this bad.